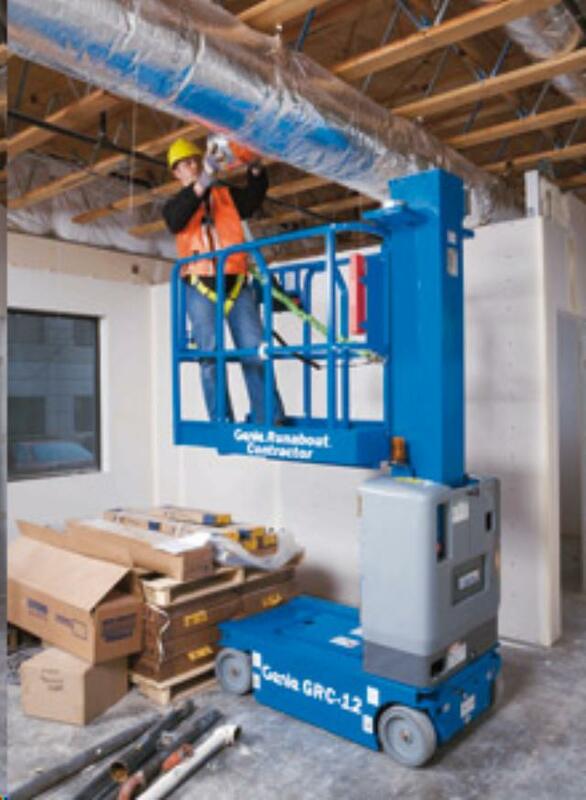 When comparing prices on scissor lift rentals in San Jose, Gilroy and Morgan Hill, ask about sales tax and environmental fees. Its narrow width allows access in hard-to-reach spots. 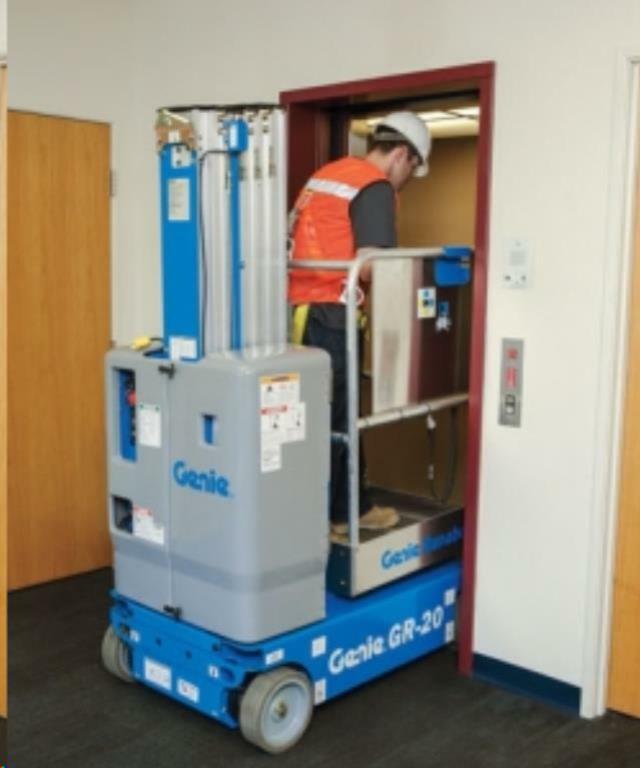 This scissor lift fits through a standard doorway. 90 degree steering provides zero turning radius and excellent maneuverability. Variable speed motor extends battery and motor life by using only the energy needed to do the required work. To safely tow this lift, A Tool shed my require a 2" receiver type hitch that is attached to the frame of the vehicle rated at 4,000 lbs. or more. A new Safety Harness is issued with every lift rental as a sale item only. If you already have your own, you may return any unopened packages for a full refund at the completion of the rental. 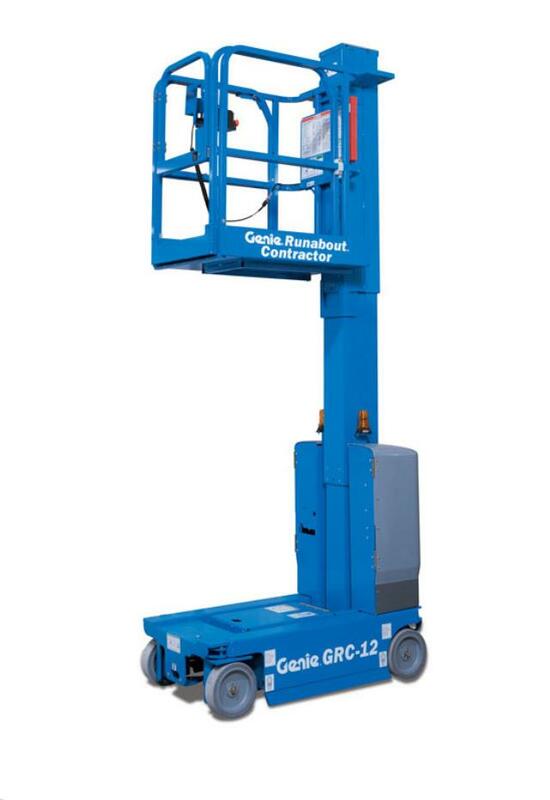 * Please call us for any questions on our 12 foot electric vertical mast lift runabout rentals in San Jose, Campbell, Salinas, Santa Cruz, Watsonville, Morgan Hill, Hollister, Santa Clara, Gilroy, Milpitas Sunnyvale, Fremont, Salinas, the Greater Bay Area and the Monterey Peninsula.